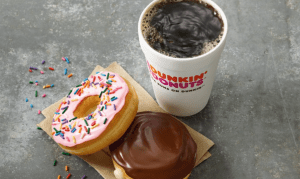 Get a free coffee (or whatever you like) at Dunkin’ Donuts with a 100% cash back offer from Groupon. You can earn up to $3 cashback. For more information or to claim this offer from Groupon, please head here. Will you be scoring a free coffee at Dunkin’ Donuts soon?